To keep you updated with all the latest trends in toilets and accessories as well as maintenance tools associated with toilets. 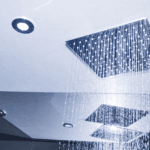 From this, we intend to guide you to buy the best products that you can use to install, improve and maintain your toilet and also your bathroom in general. At www.allabouttoilet.com, we work hard to ensure that we get you all the relevant information regarding toilets, toilet accessories and toilet maintenance tools so that you can have an easier time keeping your bathroom looking good, modern, classy, convenient to use and in good condition. As a team, we always consider the facts. It would be out of order to misinform you with the wrong descriptions about these products and their features and thus, you can be assured of getting truthful product reviews that contain all the relevant information that is useful to you as a buyer. To understand how we constantly update with you with the latest product reviews at www.allabouttoilet.com, you need to know how we utilize our values into our work. This is explained below. This website is a participant in Amazon’s associates’ program and thus, we do a lot of research into selecting the best toilet products and this is usually from a number of things such as Amazon product ratings, popularity, quality, and brand. Once the best products are determined, the reviews are written after doing thorough research mostly from online sources as well as actual product use. This ensures that the content you get is firsthand, containing a description of the features of the product and the benefits that these features give to you. Additionally, we don’t stop at that. 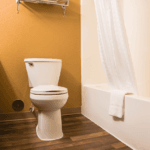 Our team is always on the lookout for new trends and new products in all things to do with toilets and thus, you can expect constant updates and fresh content regularly. By doing this, our goal or objective is to help you paint the perfect picture of the products in your mind so that you can compare them and pick the best one that suits your needs. Even as we continue to keep you updated with this information, we won’t get comfortable at that. 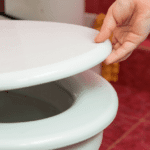 The idea is to become a leading one-stop review website for matters toilets, accessories, repair tools etc. and thus, we are constantly looking for new ways to package this information to you. The good thing though is that our readers always guide us and we will deliver the information that they request whenever they want it and present it in the best way possible. 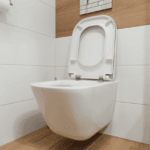 If you want the best toilet for your home or office bathroom, this is the best website that you can find this information. 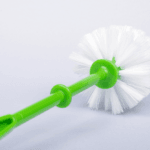 The same applies to other accessories that are used in the bathroom such as toilet lights, toilet locks, and toilet seats as well as other maintenance tools such as toilet snakes and cleaning brushes. Get a close up look at all these products in the reviews given on this website.